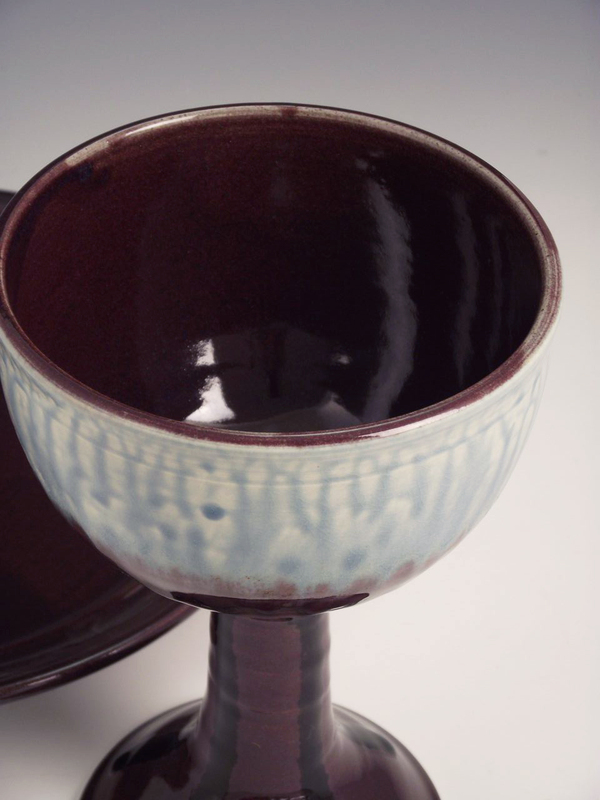 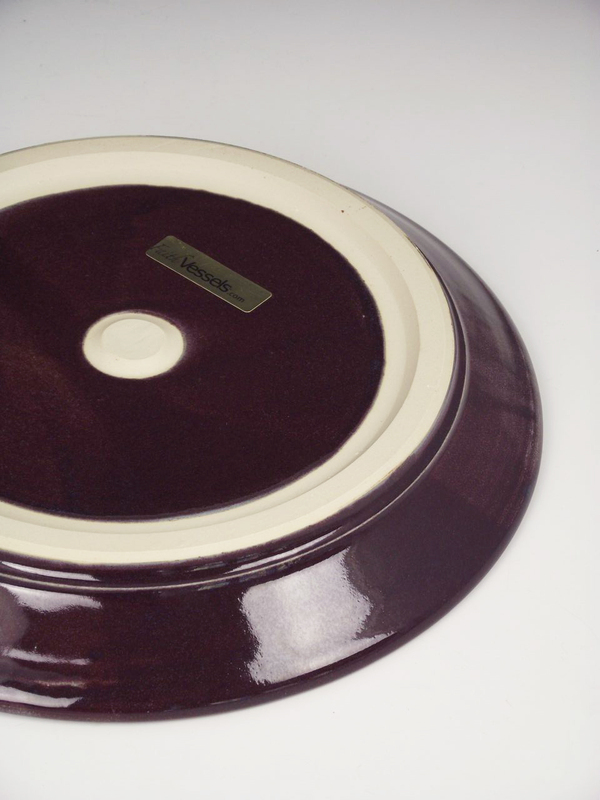 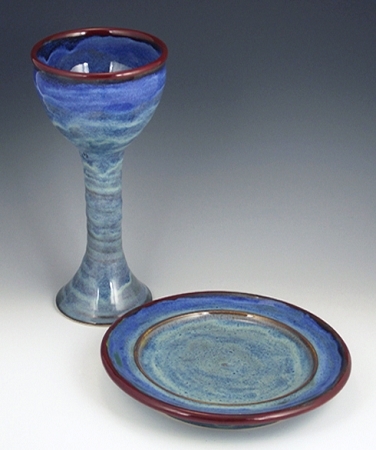 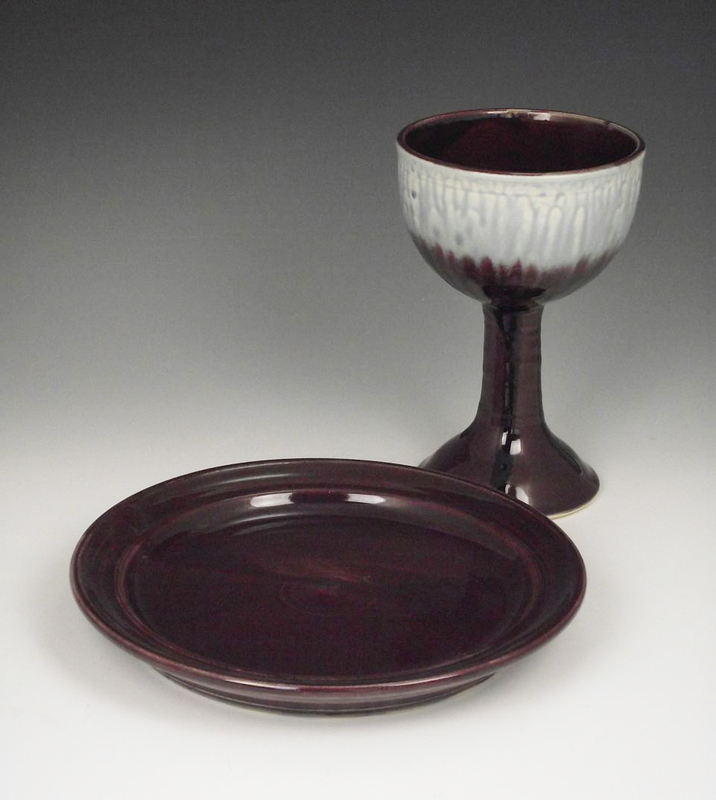 Our exclusive Eggplant/Blue glazes are the result of months of careful test fires in our kilns. 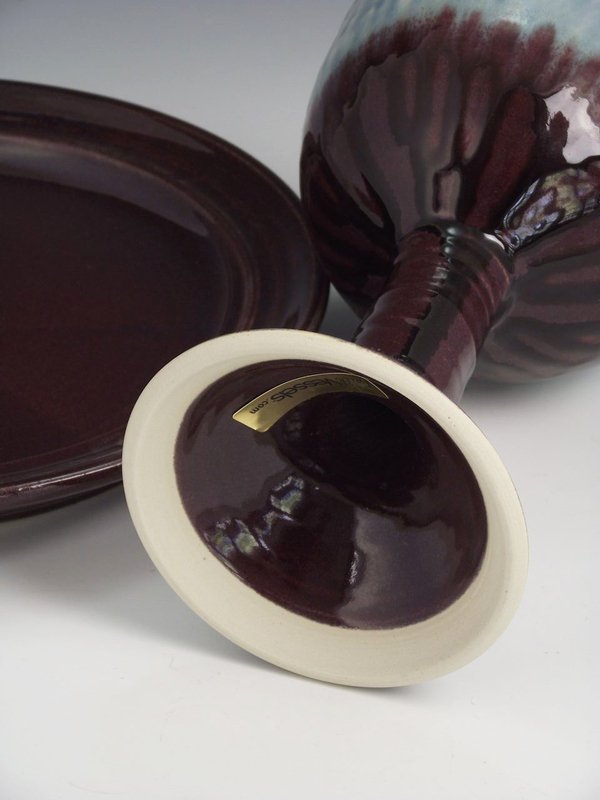 The rich dark eggplant purple is absolutely gorgeous! 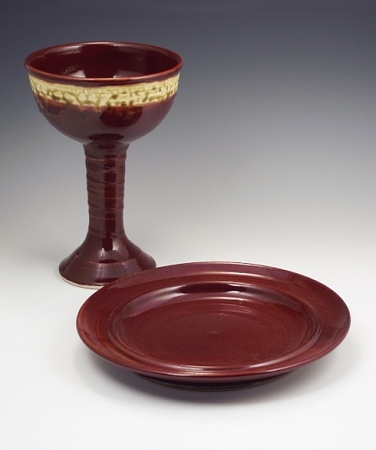 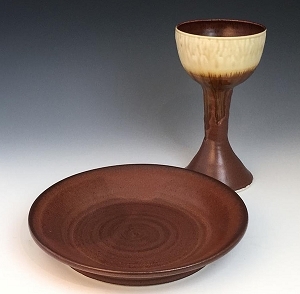 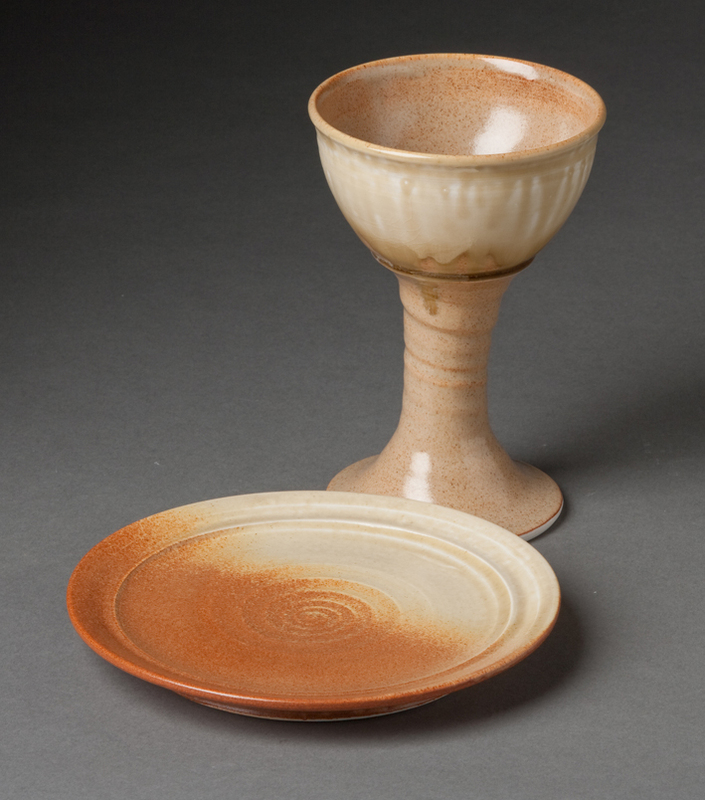 Our Communion Sets are wheel thrown from the finest English porcelain, which makes them extremely durable and resistant to chips and cracks. 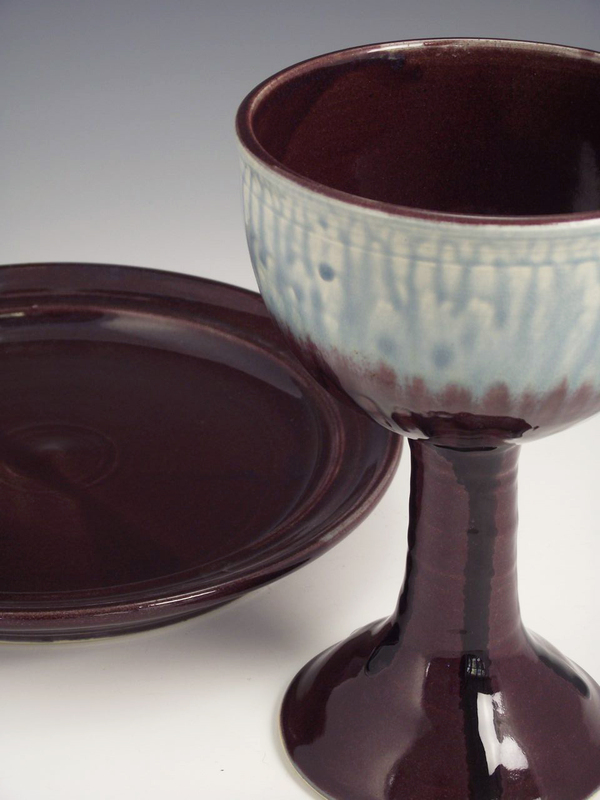 Your Communion Set will be custom made and hand glazed.